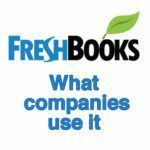 Back in the days, FreshBooks intended to specialize in small biz accounting, and probably didn’t have ambitions as high as becoming the number one accounting system millions of companies rely on. Its spotless performance, nevertheless, proved to be a great strategy for success. Accidently or not, has a long list of satisfied small business owners who happily recommend it to their business partners. But how exactly did a digital system become so popular in a very competitive market? As romantic as it sounds, the answer seems to be: devotion. For FreshBooks, there has never been anything more important than fresh and timely service, and developers have repeatedly worked around the needs of their customers. Recently, they made use of positive sentiment to confidently invest in an enterprise-grade system, and reached proactively to a new audience with their insights and communication capacity. The result was a boost in the community of enthusiastic users who seem to like how the system listens to them, works for them, and interacts with them. From a technical perspective, the system has more than it takes to justify such a position: it has what it takes so simplify, ease, and customize accounting. It effectively combines billing, invoicing, and cash management in a single platform, and reports brilliantly with a variety of factors that deliver profit/loss statements in seconds. To make matters even better, FreshBooks can be easily used on remote devices, and integrates with all most important business systems to ease information flow for novice users. For more information check out our FreshBooks review. There is no doubt that all businesses need smart accounting, and they can benefit from a program like FreshBooks to make better financial decisions. There are numerous configuration options that can make FreshBooks work in every software or user environment. Our team takes a more detailed look at what type of companies and in what scenarios can actually make use of FreshBooks benefits. If you’re still not sure if it will work for your specific needs you can always try out their 30-day free trial plan first. You can easily sign up for FreshBooks free trial here. Let’s take a small or average marketing agency as an example. The thing with this sort of creative businesses is that invoicing and bookkeeping don’t necessarily improve the impression your clients have of your company, and you don’t have much to benefit from it because your success relies on unique ideas, rather than accurate calculations. Nevertheless, messing up numbers is a serious threat to the effects of your service. Nate Shivar, a marketing analyst and founder of Shivar Web Consulting, a small marketing and web design business was struggling to keep costs down, regularly stuck between difficult-to-record PayPal invoices and Google Sheets. What he wanted was a single program that can handle accounting, bookkeeping, invoicing, and other financial tasks he had no idea about, and to do so at an affordable price. According to Shivar, there were more attractive accounting systems at the time, but FreshBooks seemed reasonably priced for startup needs, and he took on what he believed to be a risky journey at that time. He has been running the same business for 5 years so far, and couldn’t remember a better decision since. His work was simplified: he got the accounting capacity he needed, he can easily create and send invoices and track partners’ accounts, manage expenses, and he doesn’t have any taxation concerns. He particularly likes the personality and colorful design of the invoice screens, the flexible APIs he uses to integrate it with payroll software, and the taxation statements he no longer has to prepare manually. So, if you find yourself facing similar challenges, FreshBooks benefits can be tailor-made for you. One thing that certainly distinguishes FreshBooks from similar accounting programs is its ability to meet the needs of field professionals, and allow them to perform all critical operations even when out of office. As a relevant example, we’ve considered the testimony of Justin Sundling, founder and general contractor of Sundling & Associates who hated paperwork, and believed it was the main obstacle for giving customers the dream house they wanted. His invoicing system was long outdated, and he was desperately looking for a mobile solution that will finally allow him to ditch shoeboxes full of receipts and documentation. In FreshBooks, he saw the perfect getaway for himself and his team, as it was the first program that promised full accountability and data access on any mobile device. He liked the fact that FreshBooks was not a classic generic system that can’t be configured for specific operations, but rather a flexible tool that was genuinely designed for people, and is therefore able to track behavior in a flawless manner. Since he’s running both a small and specific business, he chose a software that is able to blend these two aspects seamlessly. Nnena Ukuku is a co-founder and attorney at Venture Gained Legal, where cases are assigned per official, and legal consultancy services are billed per hour. Nnena works independently most of the time, and doesn’t have a specific obligation to generate invoices in a standardized manner, but prefers to do so in order to unify invoicing processes for other agents. She’s extremely busy, and couldn’t accept less than a fast accounting system that doesn’t require her to undergo steep learning curves. Nowadays, she claims to be one of the most satisfied FreshBooks users, and that’s because this small-biz-friendly system tracks billable hours and generates invoices just the way she intended to do it. She might even consider upgrading to the system’s new version in order to benefit from automated tax statements and profit & loss reports, due the fact that accuracy is essential in her industry. FreshBooks was a faithful partner to promote her business as more professional, and she has really appreciated the skill of customizing documents within it. If you’re looking for a light and easy to learn accounting solution that will allow you to smoothly track billing hours for your services then FreshBooks is a great choice. Companies delivering digital services such as web hosting, design, development, or even actual physical retail are also usually very satisfied with the capabilities of FreshBooks. A good example is the impression of Scott Beale, founder and leading tentacle at Laughing Squid. The company is relatively small in terms of personnel, but overwhelmed with clients looking for reliable web-hosting. As web hosting is a virtual service which quality cannot be estimated right away, companies like Liquid Squid often rely on customer testimonials, payment management satisfaction, and professional services. It is because of this that Mr. Beale thinks of FreshBooks as the smartest asset he’s purchased for the company. It’s a program that collects information on its own, streamlines customer invoicing with minimal human interference, and makes sure the company will never deliver late or inaccurate bills regardless of how many clients it has at the moment. This gave the Laughing Squid team more time to communicate with customers concerning their problems and concerns, instead of overwhelming them with financial issues that may reduce their confidence. If you need an easy to implement way to automate your billing procedures then FreshBooks might be a good way to go. If you’re on the hunt for a smart invoicing service that can genuinely automate recurring invoices, FreshBooks has you covered. Andrew Hoeft, founder and consultant of Pinpoint Software, Inc. rated this system as an amazing and very reasonably priced performer that significantly cut the time he used to spend following up late payees, as well as creating and sending them additional invoices. With FreshBooks, Andrew became very satisfied with his accounts receivable management, and happy to be able to add late fees to overdue invoices. His favorite part are delayed payment notifications he can email to clients in order to avoid confusion and the opportunity to control whether they’ve opened their invoices or not. We recommends FreshBooks to all consultants looking to automate billing and to track time. We are confident that the program will shorten their invoice-to payment timelines. If you fit into any of the company profiles above and you face similar problems then probably FreshBooks will be a good idea to solve them. Keep in mind that each company is different though, so before you decide it’s always best to take their free trial for a spin first.